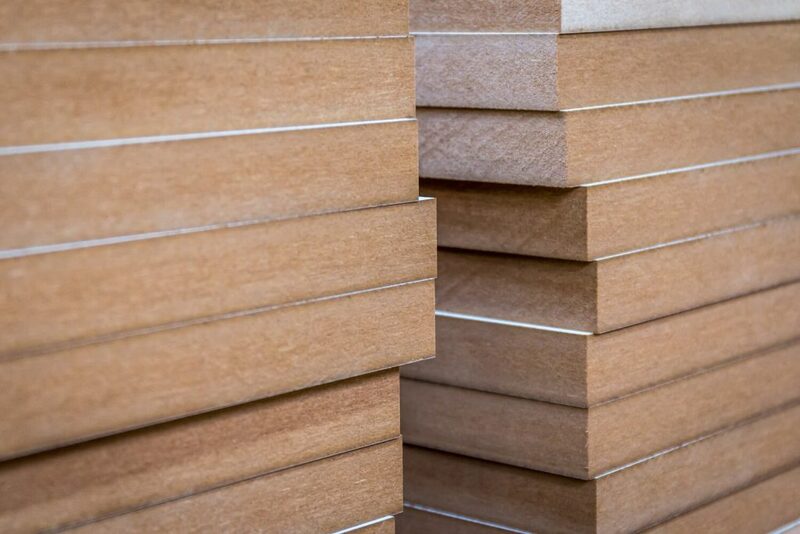 Medium Density Fibreboard (MDF) is an engineered waste-wood product manufactured from pine fibre and resin compacted together, providing uniform density and a fine and smooth surface ideal for painting, cutting, machining and drilling without splinters or chipping. It is an Australian made product in which all wood fibre used within production is sourced from 100% plantation grown pine with extremely low formaldehyde levels. Standard MDF is designed and recommended for interior applications such as wall linings, furniture, detailed joiners and partitions, and should not be exposed to high humidity or damp conditions. This is a type of uniform density panel with a special water-resistant resin added to the panel, providing moisture resistant properties and increased dimensional stability. These panels can be used in areas subject to humidity or where accidental wetting could occur. This product is suitable for drawer and cabinet carcasses in kitchen and bathrooms, and is not recommended for exterior use. This is a highly moisture resistant panel overlaid with a white lined melamine faced board on two sides providing hard surfaces that are scratch resistant and easy to maintain. Suitable for use in wardrobes, cabinetry, cupboards, general shelving & manufacturing.